I just can’t imagine something as described in your first paragraph, happening to YOU!! The Chocolate pot dessert sounds like a deliciously good solution to the dilemma one might face!!! Yummy….Chocolate is my favorite, the darker the better!! YUM! Now what I would do with this is add a bit of fabric under the ring of the jar lid to totally top off the cuteness. I had some cute retro lids with fruit on them that I used this time, but fabric or paper would be a really fun way to dress it up. Well….you can’t go wrong with chocolate, however you get there. These are so cute! If you have access to manufacturing cream, that would be the only thing that could make it even better. Heavy cream is 32% butterfat; manufacturing cream is around 42%. My local dairy place sells it. Heavenly in ganache. 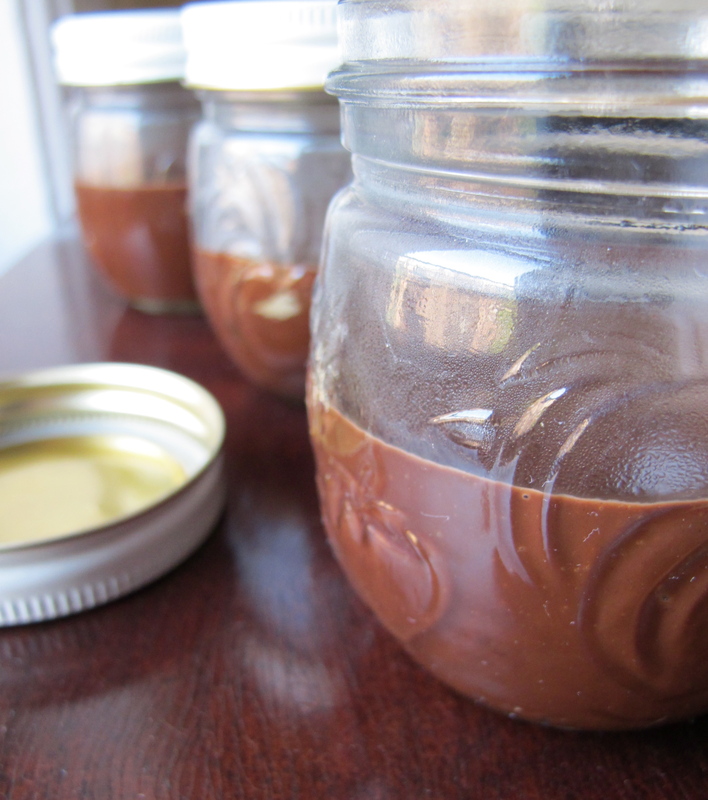 I would love to try it with a higher butterfat cream, even a cultured one for a little tang. Thanks for the tip! Doesn’t the whipped cream “unwhip” if it sits for a while? Yes, over time the bubbles of air that have been whipped into the cream will pop, making the cream less light. It takes a while though- I made these about 3 hours before we ate them and they were still fine. 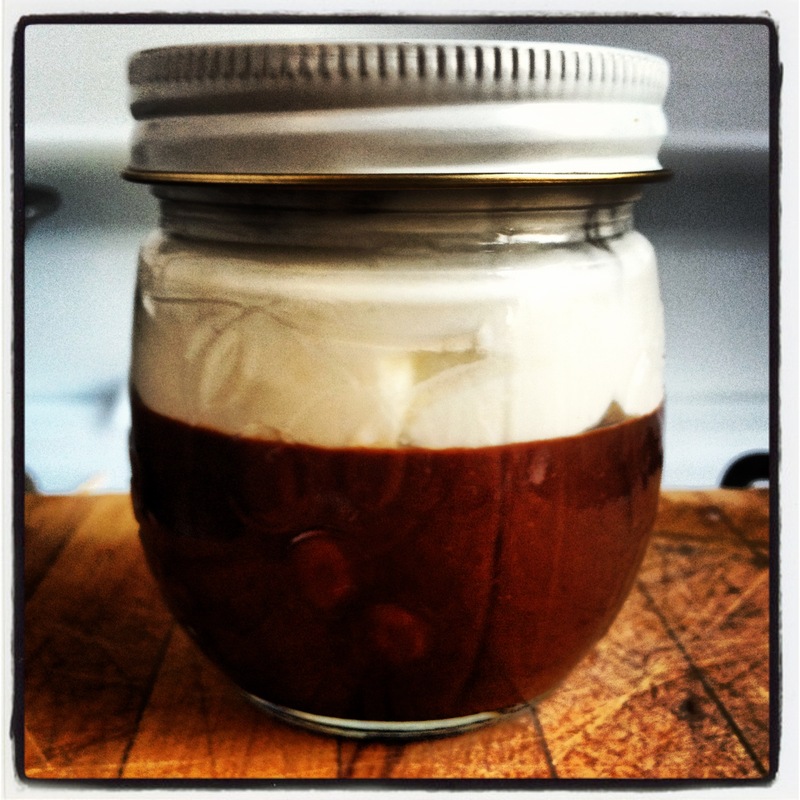 If you want to, you can make the chocolate ahead of time and then top them with whipped cream at the last minute. If I omit the rum and coffee, do I need to replace those 2 tbsp of liquid with something else? Hi there- I would probably add a little vanilla extract (maybe a teaspoon) and then an extra tablespoon or so of cream. 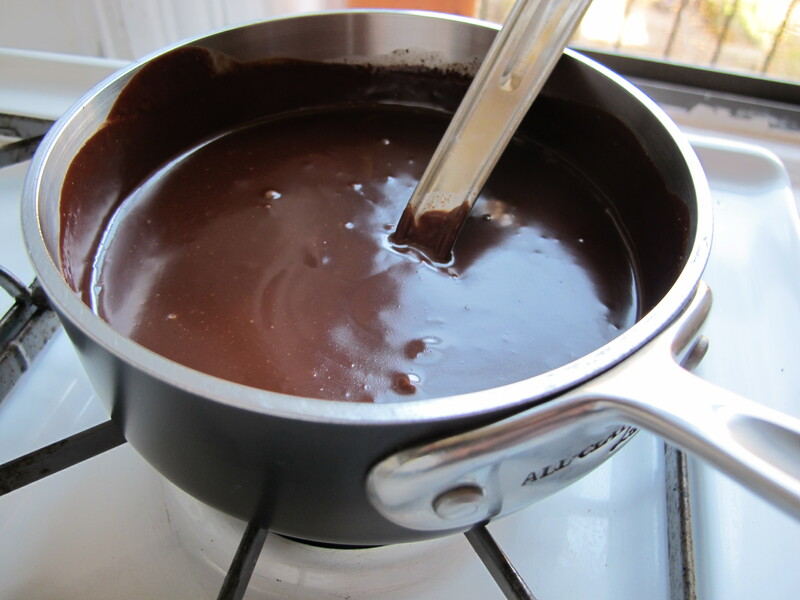 The liquid helps keep the chocolate soft and silky, so also make sure not to serve them cold- more cool.